Planetkey Dynamics – ESBD – eSport-Bund Deutschland e.V. 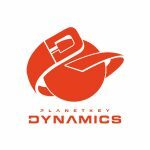 Planetkey Dynamics have been founded as an owner-operated, professional e-sports project in summer 2013. Alongside participating in a Counterstrike: Global Offensive major tournament and finishing runner-ups in the StarCraft II World Championship Series Ameria our teams compete in tournaments all around the world. Within just three months of our founding we won the German championship in League of Legends. We are placed in the top ten of the German hall of fame having won many championships and tournaments. More than 210 speak for Planetkey Dynamics’ commitment. The management works closely with our teams, players and partners to achieve even more success. Planetkey Dynamics - move and the way will open!